In every culture around the world, friendship has been recognized as one of the greatest goods that a person can have. A strong friendship can give us strength and support for good and bad times in life. Friends keep us from feeling lonely and help us to stay grounded. A strong friendship makes a good base for most other types of relationships. Romantic partnerships that are grounded in friendship are stronger than those based only on passion. Family members who are also our friends can be a rock-solid presence in our life, instead of a yearly holiday obligation. Still, some of the best relationships in life remain those with people who are just our friends. 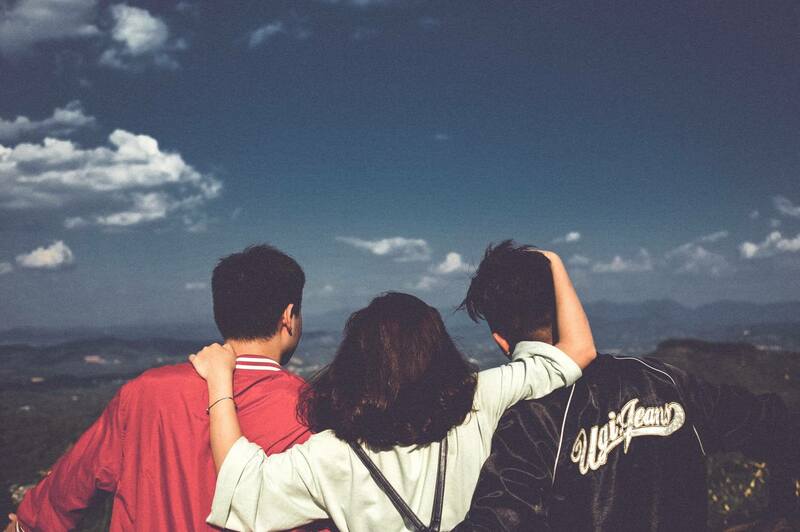 These relationships can be as permanent as a family, and as close as lovers. In honor of the strength of friendship, cultures all around the world have developed symbols of love and friendship. Some of these are highly distinct from symbols of romantic love, family, or marriage, while in other cases the same symbols are used for several different kinds of close relationships. Whether you're looking for ways to show a friend your affection, or are simply curious about symbols of friendship around the world, here are some symbols of friendship and their meanings. The same way that many married couples make public their commitment to one another by wearing wedding rings, there are many symbols of friendships from around the world that are meant to be worn. In subtle or obvious ways, these symbols announce to other people that this person is a treasured friend to somebody else. For people in the United States, the friendship bracelet is one of the most recognizable symbols of friendship. 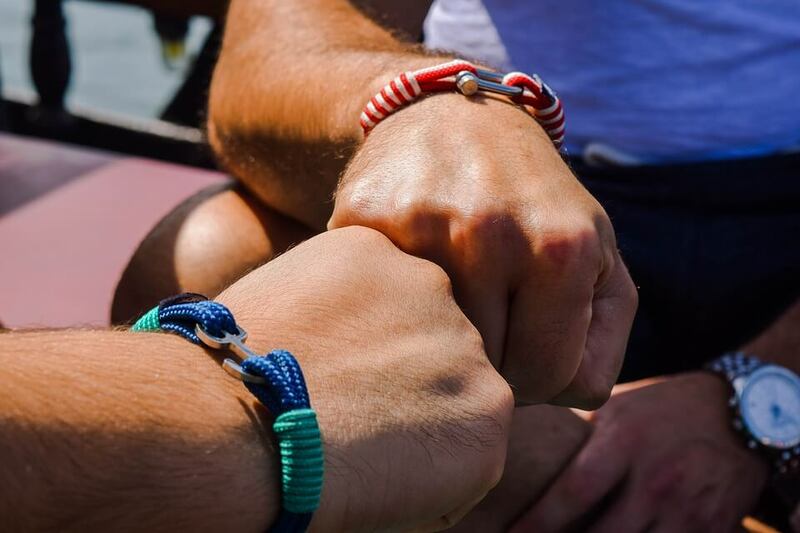 Friendship bracelets are significant partly because they are almost always handmade by the friends involved. Traditionally, you make a wish when the bracelet is tied on, and if the bracelet falls off naturally - because the threads that tie it have worn through - the wish will come true! On the other hand, it is bad luck to remove a friendship bracelet. This is usually an indication that the relationship has cooled. Friendship bracelets are made using macrame, a textile art that originated in South America. They spread to the United States in the 1970s and 1980s, partly from use in protest movements. The Celtic Claddagh ring is an instantly recognizable symbol of love, loyalty, and friendship. It was developed in the 17th century by a young Irishman who was kidnapped by Mediterranean pirates and sold into slavery. While enslaved, he was trained as a goldsmith. When King William III negotiated his release, he returned to Ireland with the first Claddagh ring. He gave it to his beloved, the woman who had waited faithfully for him for the 14 years of his enslavement. Since then, the Claddagh ring has been widely used in Ireland as a wedding ring; an inheritance passed down from mother to daughter and a symbol of enduring loyalty. No list of symbols of love and friendship would be complete without tattoos. Tattoos are a permanent inscription on our bodies, and as such are often used to celebrate relationships that we hope and wish to be permanent. People use many different kinds of tattoos to show and celebrate their friendships. Some of the most popular are matching tattoos or tattoos that are two parts of a single image. Many of the symbols of friendship in this list can be used as tattoos for a permanent sign of friendship. Not all symbols of friendship are meant to be permanent. Sometimes they are small, temporary reminders from one person to another of the love and faithfulness between them. Flowers are one such expression of friendship. Unlike red, pink, or white roses, which can have romantic or even possessive subtexts, yellow roses are all about friendship. 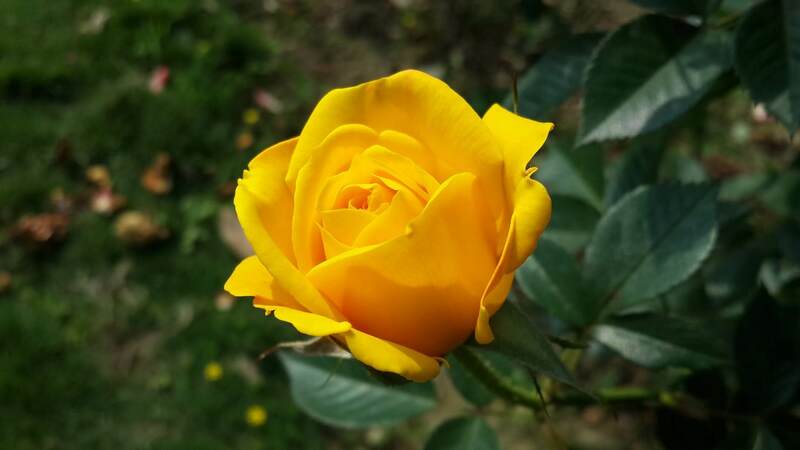 Sharing the cheerful color of sunlight, yellow roses express warmth and straightforward, uncomplicated love. Yellow roses are a fairly recent innovation, discovered in the Middle East in the 1700s. In the Victorian era, where flower arrangements were highly stylized to send particular messages, they carried connotations of jealousy or a waning relationship. The cheer of the yellow rose, however, overcame these negative images. Today, yellow roses are tightly associated with the warmest of friendships, as well as new beginnings, and get-well wishes. Small, white, daisy-style chrysanthemums have long been associated with optimism, joy, and wishes for health and happiness. 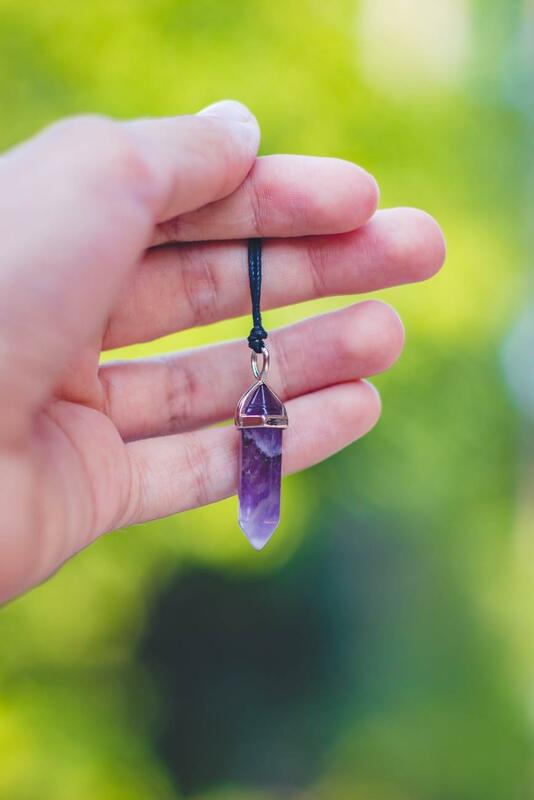 When given to a friend, they symbolize good wishes and cheer. In both Chinese and Japanese, the names for these flowers translate roughly as "gold flower." In these cultures, the chrysanthemum has long been an important symbol of friendship and happiness. Appropriately, the chrysanthemums usually associated with friendship are part of a larger family of flowers called chrysanthemum, sometimes known as mums. Just like a good friendship, mums are very hardy. They also come in many different shapes, colors, and sizes, just like friendships come in so many varieties. Somewhat more enduring than cut flowers, plants around the world stand for friendship. They symbolize the care and investment put into these special relationships. Native to South Africa and Mozambique, Jade plants are succulents known around the world as symbols of good luck and friendship. They are often given as gifts to wish luck in new endeavors, or in a new year. A flowering jade plant is an especially potent symbol of friendship. The plant won't flower unless it is very well taken care of. In the same way, dedicated care of friendship makes that friendship blossom. Since friendship can be one of the most enduring of relationships, it's not surprising that some common symbols of friendship are gemstones. Lapis Lazuli. Lapis lazuli is a deep blue gemstone that long been a symbol both of friendship and of truth. Lapis Lazuli has been mined in the mountains of modern-day Afghanistan for over 6000 years, and for all of that time, human beings have been fascinated by the color and symbolic characteristics of this rock. It is shaped for use in jewelry but also carved into functional or art objects. It is appropriate that lapis lazuli symbolizes friendship and truth. These two things are closely related. The strongest, longest-lasting friendships are the most honest. We rely on our friends to tell us the truth when nobody else can or will. Friends who don't speak honestly to us are not truly friends, and eventually, those relationships will fade. The people who stand by us through thick and thin, and always tell it like it, are our true friends. These friends are worthy of a symbol as ancient and deep as lapis lazuli. Topaz is another traditional symbol of friendship. Whereas lapis lazuli focuses on the strength of honesty in a friendship, topaz symbolizes fidelity. Friends who leave you in difficult times, or can't handle any conflict, are not truly friends. A strong friendship requires commitment and faithfulness. Arguments, misunderstandings, and distance happen in any relationship, but a faithful friend is somebody who will keep showing up and work through these difficulties with you. Many symbols of friendship aren't objects, but rather written or drawn representations. These are often also made into three-dimensional objects, such as jewelry or keepsakes. The infinity symbol, or lemniscate, is a mathematical symbol that has made its way into popular culture. Technically used to represent the mathematical concept of infinity, these interlocked curves with no beginning and no end are a rich visual symbol of our hopes and dreams for our relationships. The infinity symbol is also easy to modify, as the straight portion of the lines can be replaced with significant words, phrases, or names to personalize the symbol. There are times when the experience of friendship gives rise to feelings that are so strong that they seem inexpressible, hinting at something beyond our reach. The symbol for infinity embodies some of that deep and lasting connection. The usenoterm is an Adinkra symbol. Adinkra symbols were developed in West Africa as representations of concepts captured in short phrases or proverbs. The literal translation of thesenoterm is "tongue and teeth." What it symbolizes, however, is friendship and interdependence. The tongue and teeth are two different parts of our body, but share space in our mouth and need to work together to accomplish their purposes. In the same way, friends are different people, with different roles. When friends work together, it helps both people to meet their goals and fulfill their purposes. Using words in different languages as symbols of friendship can play up the secret or exclusive side of a friendship. As children, secret codes or languages are often a part of our friendships. As adults, part of the delight of a close friendship is the ways that you "click" in a manner that isn't shared with anyone else. It's natural to look for ways to express this that have a leftover sense of code or secret language. Some of the most popular language-based symbols of friendship come from logographic languages, where the characters stand for an entire word or idea (as opposed to alphabetic writing symbols like English, where letters stand for a single sound). The Chinese and Japanese characters for friendship called the Yŏuyíand Yūjō, respectively, are commonly used symbols of friendship for tattoos, or written communication like cards or artwork. Two hearts drawn interlocking are a common modern symbol of friendship. The ease of drawing this symbol is part of its attraction - it can be made by a child just learning to draw, or incorporated into a sophisticated and beautiful jewelry design for an adult. A variation of the interlocking hearts symbol is friendship necklaces that are made with one heart split into two pieces. When friends are apart, they each have a piece of the heart. 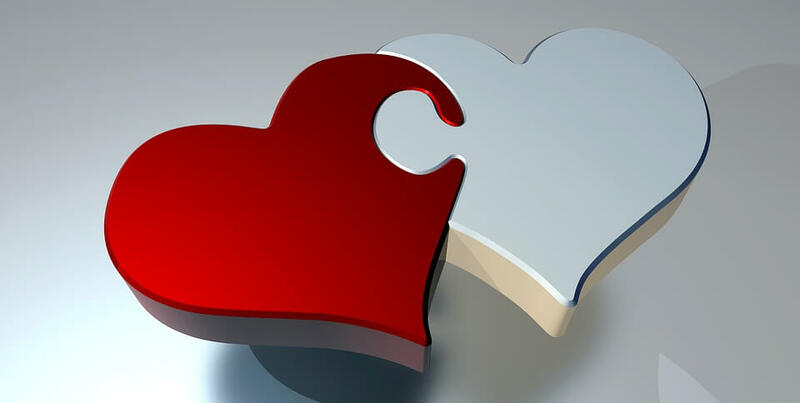 When they reunite, the hearts can be fitted together. Originating in Native American cultures to designate shared goals, crossed arrows symbolize a deep commitment to friendship. It is a popular tattoo design for friends and is also sometimes used for weddings or romantic relationships. Friendship can be a powerful force for good in our lives. It is no accident that so many cultures around the world developed symbols for friendship that emphasize trust and fidelity. Stable, caring relationships can anchor us when life gets rough. Unfortunately, friendship can be a source of pain as well as joy. Like any relationship, friendship leaves us vulnerable to betrayal and disappointment. The very strength of these negative emotions shows us the significance of friendship in our lives. If you have been hurt by a friend or the end of a friendship, it is normal and healthy to feel sad, angry and hurt. Thinking about these symbols of friendship might bring up these negative emotions, instead of positive ones. That's okay. If, however, you feel so sad, angry, or lonely that it is impacting your ability to live your everyday life, consider reaching out for help. A trained professional, like the ones at BetterHelp, can help you process your emotions, and move forward in life.